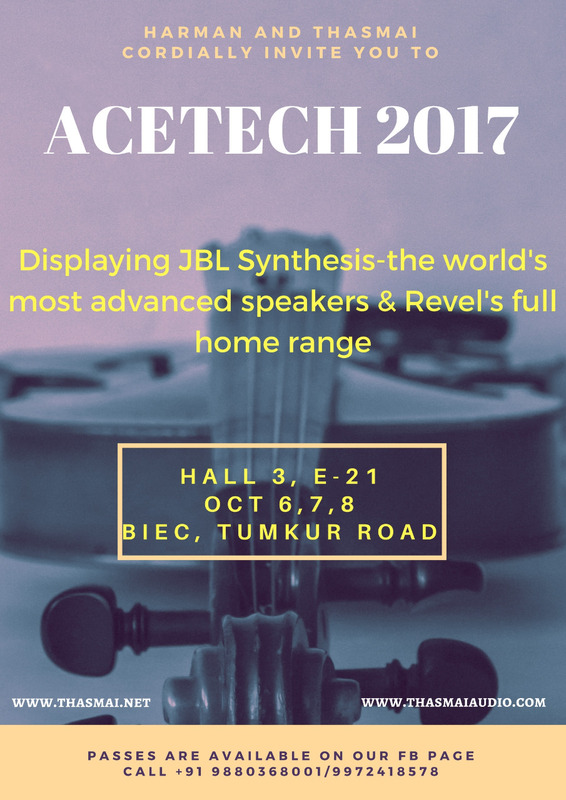 Harman & Thasmai request your gracious presence in our stall in Acetech 2017, to be held in BIEC on 6,7,8 October (Hall 3, E-21). Witness Revel’s full home line up of speakers as well as a jaw dropping JBL Synthesis theater that promises to be the cynosure of the event . RSVP on (your number), for exclusive VIP passes do call back on this number or on +91 9880368001/9972418578.